Made of wipeable plastic you can use this bunting again and again too. PE Plastic Bunting. 1x 6m of Dragon Flag Bunting. 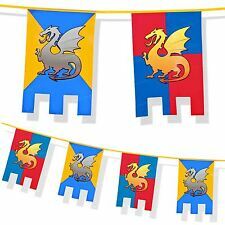 Yellow and Blue Dragon Flags with Grey Dragon. Red and Blue Dragon Flags with Orange Dragon. St Georges party bunting. 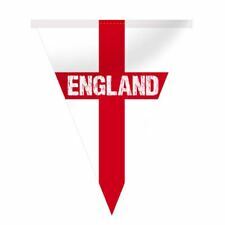 England bunting. Plastic party banner. 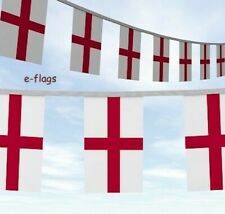 3m St George's Flag Bunting. Bunting includes 10 flags. Length: 3m. 10m St George's Flag Bunting. Bunting includes 20 flags. Length: 10m (32ft). 6m of bunting with 15 flags. Mike the Knight. Rectangular pennant flags. Fancy Dress & Party Stuff. Boys Fancy Dress. Girls Fancy Dress. USPCC Bicycle Bee Hoyle Aristocrat KEM Maverick Poker Magic Playing Cards. 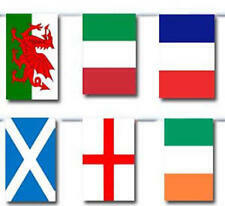 ENGLAND - IRELAND - SCOTLAND - WALES - FRANCE - ITALY. RUGBY 6 NATIONS. Rugby and cricket events. 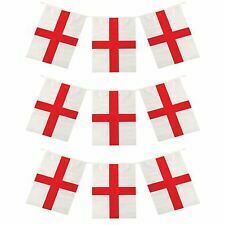 4 x England car flags. Disposable Attractive designs International Country Motives Party accessorie Solution Good Quality . ENGLAND -IRELAND -SCOTLAND -WALES -FRANCE - ITALY. RUGBY 6 NATIONS. 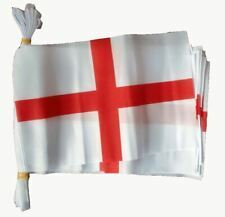 England St George's Flag Bunting. England Flag Bunting. 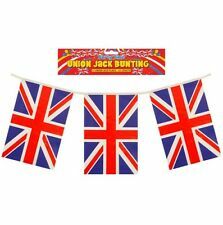 1 x Bunting. Any claims or disputes arising out of this contract must be made within an English Court. You are advised to test any face paint / make up / hair products on a small area of skin prior to general application.